My favorite book genre is YA (young adult) - it perfectly captures that magical time of life when anything is possible, while also discussing the very real problems of life, growing up, and finding yourself. It's the ultimate genre of hope, possibility, and growth. One of my favorite YA books is a recent discovery! We were sent a review copy by the publisher (thank you, Caribbean Reads!) 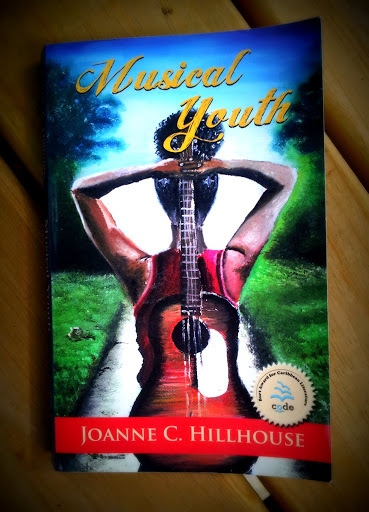 of Musical Youth, by Joanne C. Hillhouse. 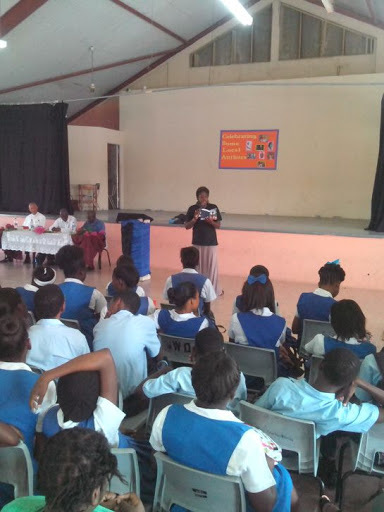 Joanne is an award-winning Antiguan writer and educator who has penned several books, speaks at literary conferences, and runs the Wadadli Youth Pen Prize writing program. But really? When I read her words, I am transported - to another time, place, culture. 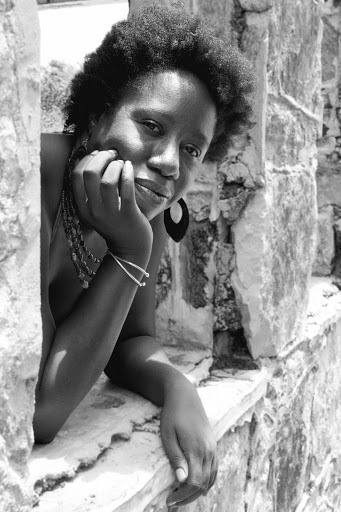 She is a wordsmith, bringing the Caribbean island of Antigua to life for her readers. 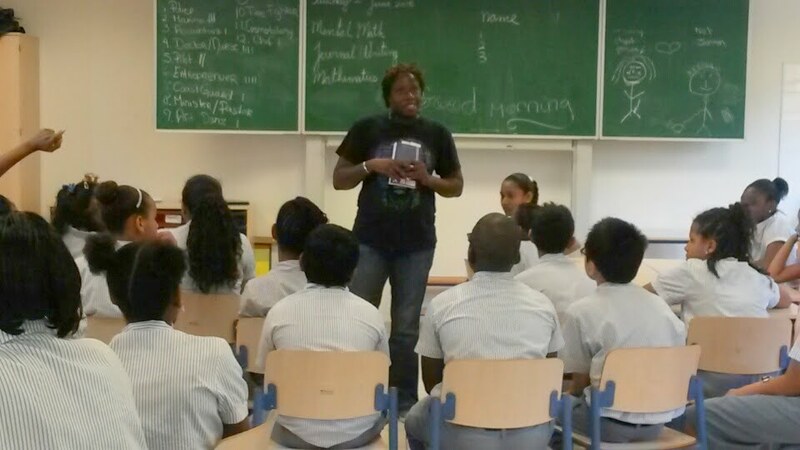 I also love her new post here on Wandering Educators, entitled, #WeNeedDiverseBooks: Author Re-writes the Fairytale. And what a life it is! This book is packed with music (of course!) and two very likeable, real, and honest main characters. They have a shared passion for music, which blossoms into a friendship - and relationship. But there is much more than love in this book - it also addresses race and color, family secrets and the arts, musical legends and legends in the making, wealth and class, bullies and friends, learning and hope. It is one of my favorite YA books because of these things - and because Hillhouse is a genius at taking us to the scene, of understanding characters, of bringing another culture home to the world. I'm so very impressed, and extremely happy to share this book with our Wandering Educators. Highly recommended. Fragments of me and some of my experiences helped shaped this book, from my teen days playing guitar and navigating the kinds of relationships Zahara and Shaka do in the story to my work trying to motivate young people to recognize the power of their own voice through projects like the Wadadli Youth Pen Prize, the things that inspired this book are timeless, true for any girl and boy coming of age, anywhere, any time – in fact a niece of mine IM’d me to insist, insist, not ask that it was about her, which for me is a great compliment because it means that she sees herself in it; I told her everything she saw was also me, once upon a teen-age, which is true, and yet not…because the truth is there is no single inspiration …it’s also true that these kids – Zahara, Shaka, Kong, and the rest had very definite ideas about who they were from the jump and were insistent that I tell their story as they lived it…I listened…and just tried to keep up. From the time I typed “Zahara, like the Sahara…” at times it was all I could do to keep up, the first draft coming more swiftly than any book-length anything I’d ever written. Shortly after I started writing it, it occurred to me that it might be a good fit for submission for the new Burt Award for teen/young adult Caribbean fiction (for which the book ultimately placed second) and while that wasn’t the impetus, it certainly gave me a…target. Is there a soundtrack or playlist for the music in this book? I kept wanting one on hand, as I was reading! There is so much cultural nuance in this book - how do you think reading international literature can help people learn more about the world? I sometimes joke that everything I know about history I learned through fiction...it's a joke obviously but fiction can teach us a lot about the world we live in, transport us ...it certainly did, and does, me... in fact, I blogged on this very, very recently, sort of… I’d like to share something I said in that “I do believe that a good and engaging story is just that, good and engaging, and that we can see ourselves in others and through that point of connection move in to other spaces, the world beyond our world, because, cliché though it may be, we are all human under the skin, and I’ve come to believe more and more that it can help us to appreciate the humanity of others who are other…than us.” Read the full blog here. I was so impressed with one of the themes running throughout the book - that of color and how people treat each other, based on color. We know it is real, we know it exists, but through Zahara and Shaka's thoughts and words, we can get an inside glimpse into the reality of it. Do you think this will ever change? And if so, how can we (globally?) help with that change? Zahara’s frustration at one point with how huge and enduring the challenge of reconciling these issues of colour, differences that separate us from each other and ourselves is, is all too relatable; it’s a frustration she begins to overcome through acknowledging the problem and how it has limited and defined her. And the lesson there, if there is one, is that we begin by accepting ourselves and adjusting our view. We begin to change things by acknowledging them, I think, and informing ourselves about them as the kids in this book do by reading, by engaging, by considering and forming their own perspectives…we change things by having the uncomfortable conversations about them, with ourselves, with others, and being open to who the other person is, accepting or rather embracing differences without weighting one better or less than the other. I think that’s something Shaka and his Crew, and all of them really begin to do throughout the novel and in so doing, journey toward accepting themselves, accepting each other, differences and all. I use the word journey there deliberately, suggesting that society is a journey-in-progress, the getting there takes time but it also takes effort, effort plus will; but, so many headlines to the contrary, the optimist in me would like to believe that we can get there, if we keep moving. How was it to write a book that wove together so many themes - growing up, confidence, arts, music, relationships, family - and have it all come together?